The Agosta High Performance Hockey Academy offers boys and girls of all ages the opportunity to learn the game of hockey while concentrating specifically on skating with and without the puck. Skating is the most important skill in the game of hockey at every level. At the Academy, skating is the number one focus; therefore, skill development in other critical areas such as puck handling will improve tremendously. Your participation in the Agosta's High Performance Hockey Academy will improve your skating skills, build more confidence in your game, and increase your overall hockey knowledge base making you a more valuable member of your team. At the Agosta's High Performance Hockey Academy, it is recognized that every player is different and provide the opportunity for individualized instruction. The talented coaching staff will assess your areas of strength and develop a specific training methodology for the areas requiring the most development. At the conclusion of the Agosta's High Performance Hockey Acadamy you will be a more complete player. 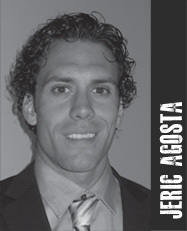 The Agosta’s High Performance Hockey Academy is not only a hockey school. Meghan does offer 1-on-1 sessions with all ages. It is the quickest way to learn by having your own personal coach. There are many advantages working 1-on-1 with an instructor. It is more personable where the individual receives more attention. The instructor can give proper assessment of the player’s skills. Custom practices for each individuals needs. You will see an improvement in a short period of time. The individual chooses the dates and times to attend. The individual will achieve short and long term goals by working with an experienced instructor. If you are interested please contact Meghan at meghanagosta@hotmail.com. Proud to be sponsored by these great companies. 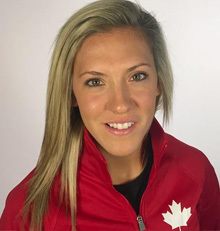 © 2018 Meghan Agosta. All Rights Reserved.